Mulled wine kits by Livia Sweets are a boozy gift for the wine lovers in your life. Red wine is simmered low and slow with cognac, spices, and orange rind. 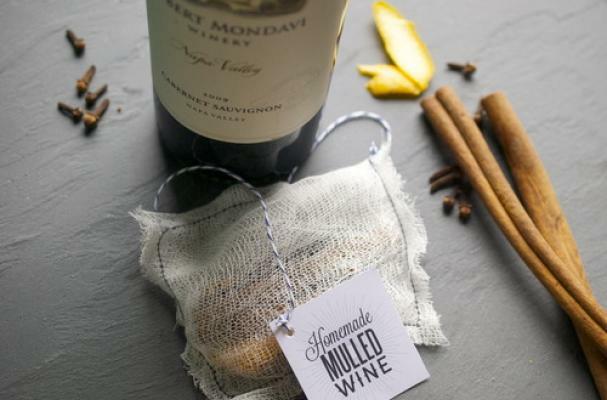 Each homemade kit includes a bottle of bold red wine with a sealed pouch made from cheese cloth containing the mulling spices. There is also a link to a free printable gift tag. Whether you are making mulled wine for yourself or giving the kit to others, make sure to heat the wine on very low heat so as not to cook out the alcohol. To make your own mulled wine kit, click here.